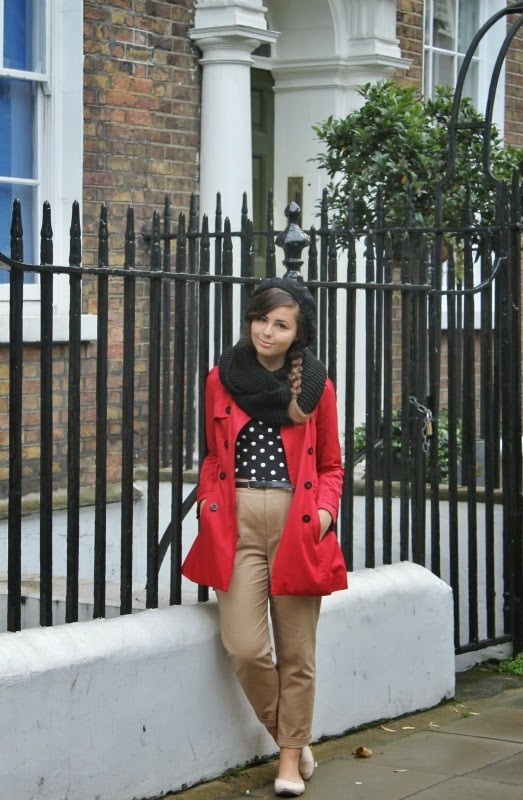 Another outfit from London! 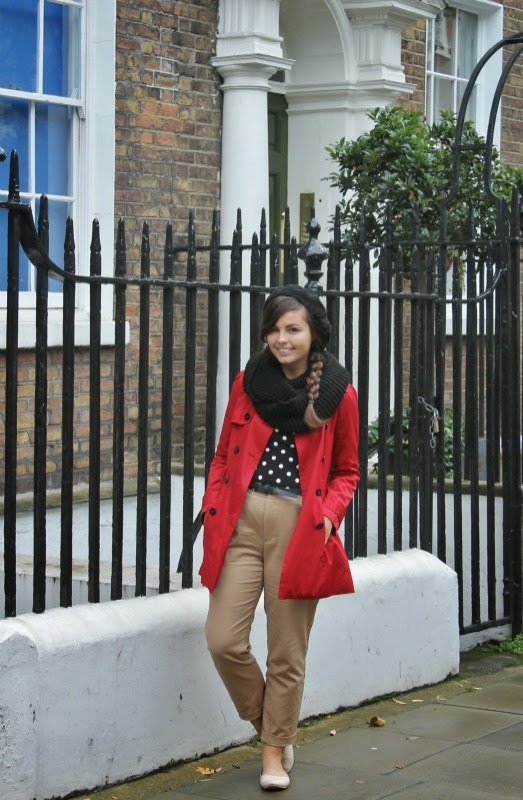 I really enjoyed dressing for the weather there and taking on classic London style. I've definitely noticed shifts in what I like to wear and what I'm drawn to since coming to Europe. I'm in a constant pull of what I like to wear it seems. Sometimes all I want is a classic black, white, and red outfit, and then other times minimalistic European style, then other times back to my vintage roots. I suppose my style is a strange mixture of all of those right now, but I don't mind. It's fun to watch my style evolve and transform through my stay here and be influenced by what I experience. We had a lecture on sustainable fashion while I was in London, and it really opened my eyes and got me thinking more about the topic I suppose. It's never been something I've been interested in before-- I always thought sustainable fashion... yawn, boring, boring, boring...but after properly learning what sustainable fashion is comprised of, I've realized I've been in support of it all along (well, kind of). Sustainable fashion isn't just ecologically friendly clothes. It's about watching your buying habits and how much you buy. In America, we have these huge wardrobes of dozens of pieces that most times, we don't even wear or need. The production of those pieces took labor, energy, materials, and so much just for me to be a mindless consumer. Europeans do an awesome job of having limited wardrobes, buying more quality pieces that last longer and aren't subject to fast fashion and just buying mindlessly. I'm jealous of them, and it's something I want to try and work into my buying habits. Obviously I'm not doing a good job because my outfit above is from all fast fashion brands, but I'm glad my eyes have at least been opened now to these types of things. Sustainable fashion also includes supporting artisans and craftsmanship. I've seen and witnessed such art over here in Europe that they put into their clothes and individual labor that can be appreciated versus the turn out of thousands of same made, cheap, poorly crafted garments. Although cheaply made clothing may be convenient and budget friendly, these sort of things promote poor working conditions, child labor, and just sketchy practices. It's important to know where your clothing is coming from; that the company is transparent in their practices, acquirement of materials, and their distribution as well. 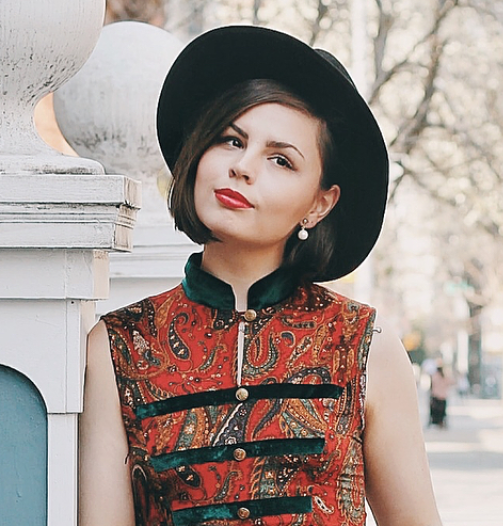 And my favorite thing about sustainable fashion--buying vintage! Using what we have already produced is so important and I've always just done it because I preferred the styles more...but it is so helpful to the sustainable fashion movement to thrift and buy vintage to better maintain the raw materials that we have left now; which truthfully, isn't much. It was shocking to me to learn about the world we'll be left in 50 years if we don't change the way we are consuming resources and our production methods. It's scary, for not only this generation but for the generations to come. It will be hard for me to change my shopping and buying habits after learning all of this information and really understanding the predicament the fashion industry is in. I want cheap clothes. I'm a student and can't afford expensive things and the places I want to shop are of course the worst culprits of bad fashion practices (often times, not all the time!). But I definitely want to try to even readjust even little things like upcycling my clothes more, wearing them till they truly fall apart, knowing more about the companies I buy from and their polices...little things like that. I can't swear off fast fashion and never buy again because that's hypocritical of me; but I do think it's important to try and take the change within myself because if not now, when? You're precious and I miss you. I like your hair like this! Very pretty. Also -- maybe you would consider sharing more about what you've learned in your fashion merchandising classes? I'd love to know more! This made me so happy to read, sustainable and ethical fashion is something I am very passionate about even if I cannot be as ethical and sustainable as I would like. With that in mind for me it is important to try to be sustainable but it isn't always as easy as it seems for me it is quite hard to buy fair trade clothing even when I can afford it as 95% of the time the clothes I would like to purchase really don't fit me. So for me sustainability has to be more about my attitude towards clothes. As things from H and M or other highstreet stores fit me whereas things from my favorite fair trade store People Tree don't I have to buy the clothes that fit. To try and maintain my principles I will only buy from a store something that is 'classic' and will last beyond the current fashion season. I will also try to find things second hand so if I like something in store before I buy it I'll have a look on ebay and it is amazing how often you can find pieces that are still in store being sold way cheaper second hand by someone who has changed their mind or doesn't want it anymore. The whole issue surrounding sustainable fashion is highly interesting (I think)but it is also complex and with no simple answers as if we stop shopping at places like Forever21 for example then the mainly women who work there loose their income which although small is highly important, but then when disasters like Rana Plaza happen you question is it really worth it? Ah as you can see that is something I could go on about forever. I look forward to seeing how what you have learned influences your shopping and spending habits and how that is reflected on your blog. Although I do understand the challenges faced when trying to be ethical and the lure of fast fashion. Lauren, you hit the nail on the head with something I bunk into with food: sure, organic is far better for me ... but who can afford it, on a fixed income?! You're a natural! Love this! 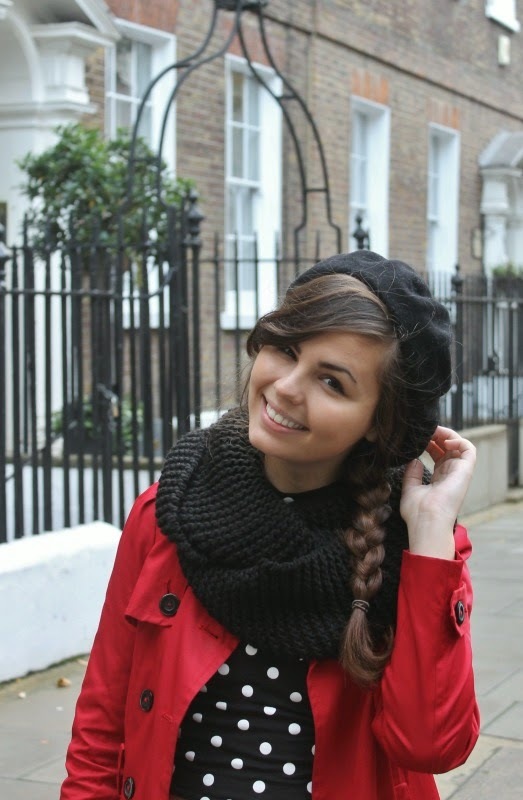 Check out my best friend's ethical/sustainable fashion blog, if you fancy :) She wears almost only fair trade and secondhand clothing on a student's budget. I use Disqus so that my followers know when Ive replied to them! I actually was reading something about Americans costing a lot of resources for clothing and we don't know how to take care of the clothes we have and repair creating sustainability issues. 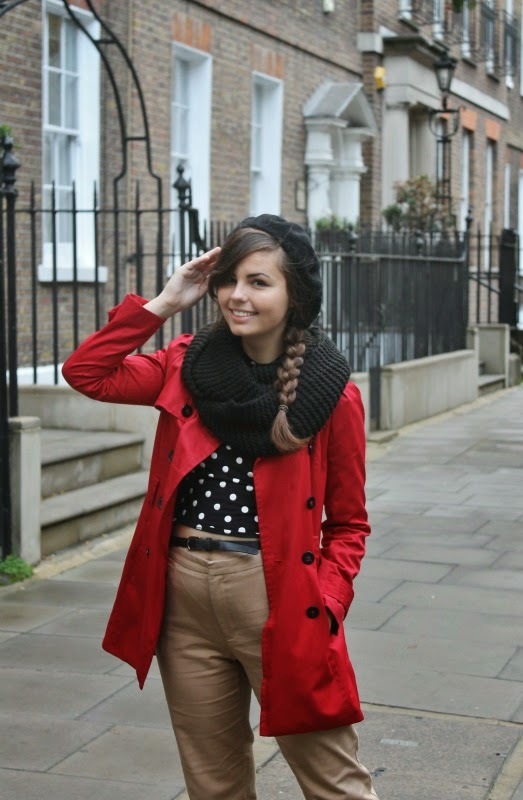 I love this outfit it is so British chic!